I'm frequently asked about the importance of the “CalFIRE case” for which the California Supreme Court may soon issue a decision. To help everyone better understand the case, RSI has put together a short 'explainer' document that you can read here. This case has potential nation-wide impact. At dispute is the offering of "Air time," a pension spiking practice that CalPERS stopped allowing after the Public Employee Pension Reform Act (PEPRA), signed by Governor Jerry Brown, took effect in 2013. A decision from the California Supreme Court could break the California Rule's stranglehold on pension reform and make it possible to head off the impending public pension crisis. In partnership with researchers at the Reason Foundation, the California Policy Center has recently compiled data for every agency of California's biggest pension system, CalPERS, including 427 cities and 36 counties. The data has been distilled to present two sets of numbers: payments to CalPERS for the 2017-2018 fiscal year, and officially estimated payments to CalPERS in the 2024-25 fiscal year. In calculating these results, the only assumption made was for estimated payroll costs in 2024. Researchers used a 3 percent annual growth rate for payroll expenses, the rate most commonly used in official actuarial analyses on this topic. To see how the numbers stack up for each city and county, click here to read more from the California Policy Center. Chart courtesy of the California Policy Center. Pension costs are threatening public services all over California. It has to stop. California is great at making pension promises, but a dismal failure at properly funding them. The most recent annual report released by the California Public Employees’ Retirement System shows that, as of June 2016, CalPERS was more than $138 billion in debt. The teachers’ retirement system (CalSTRS) is nearly as bad, with $96 billion in debt. Even with a couple of really good years in the stock market, pension debts have grown. The California system of overpromising and underfunding is failing taxpayers, public employees and retirees and wreaking havoc on California’s finances, including those of cities like Sacramento. And the giant CalPERS and CalSTRS pension debts ensure more of the same for decades to come. The first pension domino fell in 1999, when the state Legislature granted retroactive pension benefits without paying for them. Since then, many factors have contributed to the pension debt, including chronic underfunding and relying on the stock market with unrealistic assumptions for investment returns. Quite simply, California has relied on kicking the can down the road for someone else to deal with at a later time. Albert Einstein once said we cannot solve our problems with the same level of thinking that created them. Unfortunately, when it comes to the nation’s struggling public pensions, now more than $1 trillion in debt, that’s exactly what’s been happening. For years, state and local policymakers have been trying to keep their heads above water, while ignoring the coming pension debt tsunami. Over the past year, three states have made the tough decision to tackle pension reform head on. These states—Arizona, Pennsylvania and Michigan—are vastly different in size, budgetary resources, and political makeup. The common denominator has been their commitment to safeguarding their public employees’ retirement systems by enacting reforms that are fiscally responsible. These states not only rose to the challenge of pension reform, but they each saw their efforts through to success. Click here to continuing reading Mr. Liljenquist's Forbes commentary. More from the Sac Bee: "Before Brown’s  pension reform law took effect, California public employees could buy up to five years of service credit through the air time offerings. Participating in the program cost workers tens of thousands of dollars up front, but gave them a higher pension when they reached retirement age." While recent lower-court decisions have supported Brown's 2012 pension reforms on air time and pension spiking, the challenges are now in front of the California Supreme Court -- a decision that could have significant implications not only in the state, but throughout the country. The San Francisco Chronicle's editorial board today called Brown's filing a "notable decision," further saying "The governor deserves praise for taking on a financial issue that’s the equal of his dreams of a new plumbing system for California water or a quick-shot train line connecting the north and south. Whether it’s his short-timer status or tightwad reputation, he’s focusing on a major problem. The state’s two main pension pots are hundreds of billions short of promised payments to retirees while cities and counties are facing steeper costs to keep the game afloat." For nearly two decades, California's public pension debt has been spiraling out of control, eating up tax dollars and public services. Both the California Public Employees’ Retirement System and the California State Teachers’ Retirement System--with more than a combined $200 billion debt--only have approximately two-thirds of the assets needed to pay the debts they owe. There’s nothing scarier than the systemic failure of our nation’s public pension systems—and no one is spared. Estimated at $5 trillion, U.S. public pension debt is the shadow lurking at your door, slowly creeping up behind you. The nation’s failing pension systems are responsible for higher taxes, reduced government services and, in some of the worst cases, reductions in pensioners’ promised retirement benefits. And that’s scary stuff. Growing pension costs are resulting in tremendous budget challenges for state and local governments. Just look at the recently released study by Stanford University examining California's unfunded pension promises and how the pension crisis is impacting city and county governments and school districts. In many cases, the state's police, fire and other critical public safety services have been reduced to pay increasing pension costs. Other services, such as public health, public assistance and transportation, are especially being hit, as well as libraries and recreational services. School districts, too, have been dealt a blow with cuts in operating expenses and staff reductions. Just as scary, rising costs and the continual underfunding of pension systems are threatening the solvency of public employee retirement plans, putting at risk the hard-earned savings of many workers. RSI believes that all workers deserve safe and secure futures and retirement plans should place employees on a path to a secure retirement. 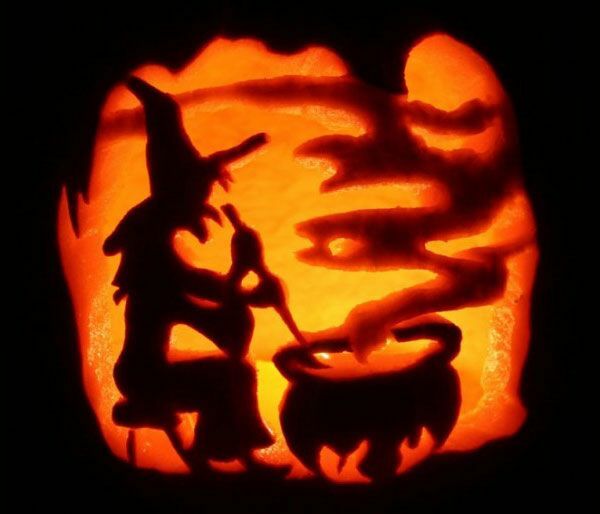 It shouldn’t be a case of trick-or-treat: retirement benefits should be fair, sustainable and predictable. Although today’s pension crisis is due to past policy decisions made by legislative bodies that created unsustainable systems, current policymakers can change the tide. For example, policy leaders in both Pennsylvania and Michigan faced the challenge head on this year and passed meaningful pension reform. Further, leaders in Kentucky are currently working hard to reform their broken pension system and stop the state's $37 billion pension debt bleed before it's too late. Don’t be tricked this Halloween. State and local governments have a responsibility to provide essential services that protect the welfare and quality of life for all Americans—services that will be reduced as public pension debt continues to skyrocket. Governments also have a responsibility to fulfill their pension promises to public employees. After all, there are many things that frighten us, but our retirement futures shouldn’t be one of them. Retirement Security Initiative founding board member Lois Scott this week was appointed to the Kroll Bond Rating Agency’s board of directors. Considered a trailblazer for women in the field of public finance and one of the most influential people in U.S. government, Lois is instrumental in bringing awareness to public pension sustainability challenges and working with national leaders on reform efforts. From 2011-2015, Lois served as the Chief Financial Officer for the City of Chicago and currently serves on the board of the Chicago Stock Exchange and the Federal Home Loan Bank of Chicago. She is chair of the Advisory Board of the Center for Municipal Finance at the Harris School of the University of Chicago, co-founder of the Municipal CFO Forum, and is well known as one of the founders of Women in Public Finance. Click here to read special RSI commentary by Lois on financing state and local pension obligations. This week marks National Retirement Security Week. Unfortunately, most Americans face uncertainty when it comes to their retirement futures. Even public employee pension plans, which at one time were considered safe harbors for public workers to save and enjoy their retirement years, are now antiquated and failing the very people they are meant to serve. As more pension systems go without being fully funded, and plans consistently lose money, it’s the workers and retirees who are impacted the most. Such is the case in Kentucky, which has accumulated more than $37 billion in pension debt due to such factors as inadequate funding and poor investment returns. The system faces insolvency and, without reform, state officials estimate retiree benefit checks could stop coming as early as the next three to six years. But this week, Kentucky Governor Matt Bevin and legislative leaders introduced a comprehensive plan to stave off the impending pension crisis. The proposal, aimed at making the system healthy and solvent, would go into effect July 1, if passed by a special session of the legislature. Kentucky will have to pay its actuarially required contribution every year and create a funding formula to put hundreds of millions of more dollars into retirement plans. Retirees will be protected. They will see no change in their retirement checks and their healthcare benefits will remain secure. Retirement age for current public workers will remain intact and their current defined benefit plan benefits will continue until the employee attains his or her promised level of unreduced benefit. Non-hazardous future employees and teachers will be moved into a modern retirement plan that offers more mobility and flexibility. The Retirement Security Initiative believes that all workers deserve safe and secure futures and retirement plans should place employees on a path to a secure retirement, regardless of tenure. Governor Bevin’s pension reform plan will do just that. Growing pension costs are threatening the solvency of public employee retirement plans throughout the country, putting at risk the hard-earned savings of many workers. We tip our hat to Governor Bevin for stepping up to the state’s $37 billion challenge, saying enough is enough, and putting public workers first. Read more about Governor Bevin’s plan here and watch his press conference here. Pension costs in California are ballooning so much that important community services are being crowded-out in their wake, according to a new study by Stanford University professor Joe Nation. The report, “Pension Math: Public Pension Spending and Service Crowd Out in California, 2003-2030,” details jurisdictional case study after case study of failing pension systems per county, city and school system and what it means for taxpayers. In many cases, police, fire and other critical public safety services have been reduced to pay increasing pension costs. For example, in the City of Vallejo, as the pension share of the city’s operating expenditures increased from 3.1 percent in 2003-04 to 15.2 percent in 2017-18, the number of police fell from 221 in 2004 to 143 by 2014, and the number of fire personnel remains nearly 30 percent lower than in 2004. Other services, such as public health, public assistance and transportation, are especially being hit, as well as libraries and recreational services. In the City of Stockton¸the pension share of operating expenditures increased from 3 percent in 2002-03 to 12 percent in 2017-18, and have displaced an estimated $31 million of other city expenses this year alone. The city’s higher pension contributions have led to reductions in three functional areas: public works, libraries, and parks and recreation. Furthermore, looking ahead, pension expenditures in 2029-30 appear likely to crowd out an additional $28 million in other city spending. California school districts are not immune to escalating pension costs. The study examines the Los Angeles Unified School District, Mill Valley School District and Visalia Unified School District. In all three areas, operating expenses, salaries and staff have been reduced to pay pension costs. Further, in Mill Valley, educational services, supplies and books have been cut. U.S. public retirement programs are more than $5 trillion in debt, resulting in tremendous budget challenges for states and municipalities. As more and more public retirement plans face insolvency, policymakers tend to pull funds from important public services like education, public safety and transportation to pay down pension debt. This, coupled with reduced funding for community centers, libraries and parks, leads to a reduced quality of life for all taxpayers. The Retirement Security Initiative believes that state and local governments have a responsibility to provide essential services that protect the safety, health, welfare and quality of life for all Americans. Sadly, as the Stanford study shows, these services will continue to be reduced as public pension debt increases. While it’s easy to kick the can down the road for another day, if policymakers don’t get control of the public pension crisis now there will not be funds for essential community service programs in the future. Analysis published this week by J.P. Morgan’s Chairman of Market and Investment Strategy Michael Cembalest demonstrates the growing risk to public employees and retirees as many municipal debts outweigh revenues. Following up on his 2016 tri-annual credit review of U.S. states, Cembalest has added the largest U.S. cities and counties to the mix in his latest review, The Arc and the Covenants 3.0. By calculating what local governments currently spend on bonds, pensions and obligations related to underfunded pensions and retiree health benefits (termed OPED) and what they would be spending over 30 years assuming a 6 percent rate of return, Cembalest has determined that U.S. cities and counties are substantially more debt-ridden than states and have some difficult choices ahead in order to meet their future obligations. Using a calculation called “IPOD” (short for I=interest on bonds, P=pension payments, O=OPEB payments and D=defined contribution payments, all divided by municipality revenues), Cembalest looks at current IPOD ratios and, more importantly, full accrual IPOD ratios required to service all future obligations accrued to date. And the result is dismal. To meet the full accrual IPOD ratio, many municipalities will need to significantly increase taxes, cut services or increase public worker contributions. For example, in my home state of California, to meet its future commitments, Oakland would have to increase taxes by 22 percent, or cut spending on services by 22 percent, or increase worker pension contributions by 462 percent. In Sacramento, policymakers would have to increase taxes by 19 percent, or cut spending by 18 percent, or raise workers’ contributions by 301 percent. And there’s municipalities in far worse shape, such as Houston, which would have to raise taxes by 26 percent, or cut services by 23 percent, or increase worker contributions by an outstanding 772 percent. So, what happens if these governments choose to ignore the crisis, to maintain the status quo and do nothing? Municipalities may continue to rely on elevated investment returns, but that would require almost impossibly high annual returns for 30 years and it’s that short-sighted optimism that helped get our country into its current pension debt crisis. According to Cembalest, at a more conservative and realistic return rate of 6 percent, municipalities would see their pension funding ratios decrease. For example, Houston’s current 23 percent funded ratio would fall to 15 percent; Cincinnati, Ohio’s would go from 60 percent funded to 49 percent funded; and Los Angeles County’s would drop from 87 percent to 79 percent—and that’s only if municipalities maintain their current contributions. If contribution levels fall, the funding gaps will only widen, putting at risk the retirements of many public employees. As Cembalest noted, public sector workers “have earned the benefits they accrued and which were granted by state and local legislatures, and have the right to expect them to be paid.” I couldn’t concur more. Unfortunately, the situation is dire for many municipalities around the country and this report only further reflects the tremendous debt burden faced by our country due to overpromising benefits and underfunding pension systems and the risk it places on public employees and taxpayers. Moving forward, pension reform can no longer be prolonged by state and municipal policy leaders while liabilities accumulate. To maintain benefits for current retirees, ensure a fair retirement for future workers and deliver government services to taxpayers without significantly increasing revenues, the debt crisis needs to be addressed now.